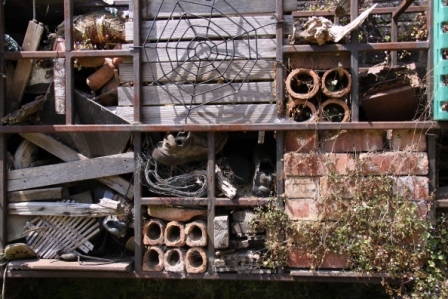 Tidy gardens are lovely but many small creatures and insects need shelter. So they need our help to provide homes for them. They like crevices in dead wood, bamboo canes and old flower stalks, piles of terracotta pots, roof tiles, stones and old bricks to hide in throughout winter. The wildflowers are grown in a variety of conditions to simulate their preferred environment. This month the predominant colours are orange, yellow and white.